ChickPea turns five tomorrow. Five! It feels like she has always been here and despite her daily stomping, roaring and screaming she makes us laugh everyday with her quirky take on life. She is currently adding big words to her vocab and using them in pretty much every conversation. My mum had ChickPea yesterday afternoon and said, ‘your child is trying to include the word unfortunately in every single sentence’. Photo by Rachel, our International student who the girls ADORE. She used the SNOW app. 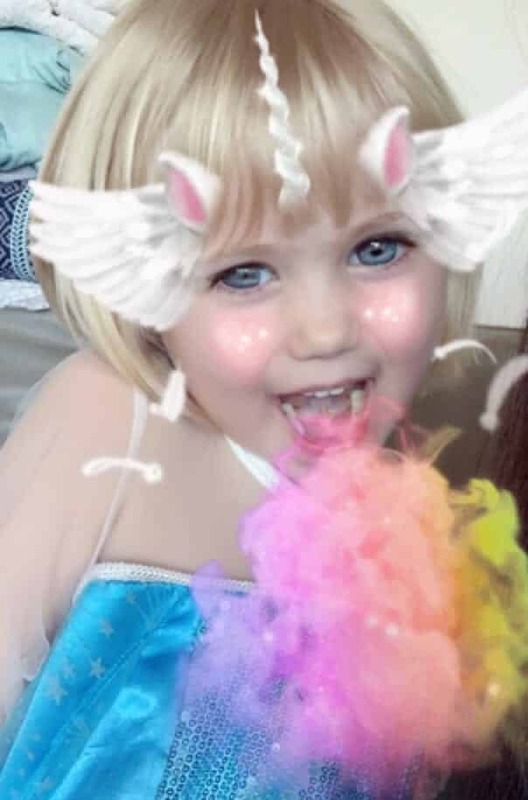 There is a family birthday party for the five year old on Sunday and this year it is unicorn themed. 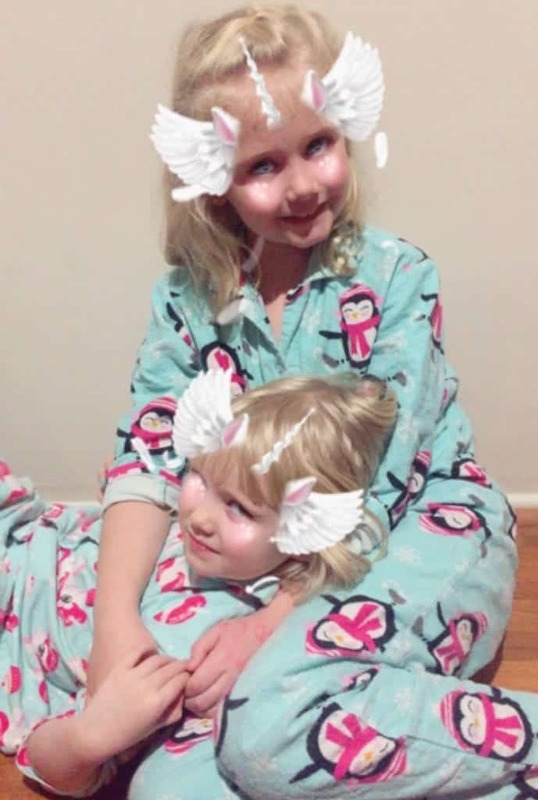 We’ve now had a cranky ladybird party and two dinosaur parties for the roaring, stomping one…and she requested another dinosaur party this year. 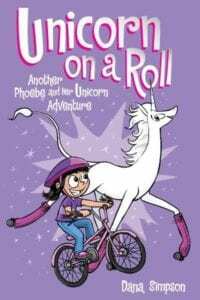 After much reading of books which do not involve dinosaurs…ChickPea announced one morning at breakfast that she now liked unicorns and ‘Thelma the Unicorn’ was her favourite book in the world. 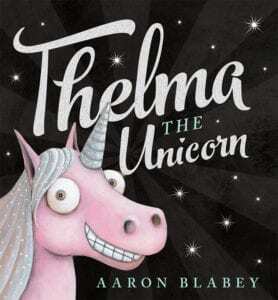 And so we have a unicorn party. Book themed parties are my favourite as the theming is done for you, many books mention food and the story provides a focus for the party. 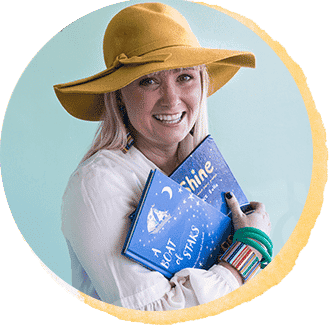 You can see a list and link to all our book parties at the end of this post. I’ll upload photos of the party (really more a family lunch! ), but in the meantime – the following gifts are wrapped and ready for the birthday girl – from various family members. 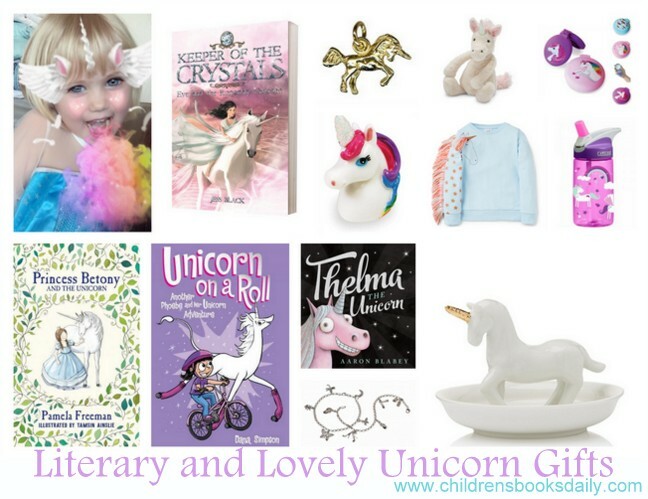 I’ve linked where possible to items – in case you also have a unicorn loving child. 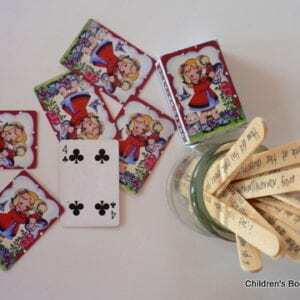 There is also a Fairy Door on it’s way – but I can’t show a photo of this as the fairies deliver this one via Aunty Amy – who has super close connections with the tooth fairy (see here). 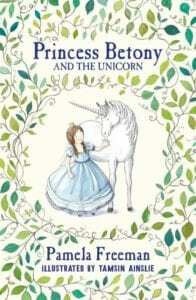 The books are all ones that I’ve ordered for her – some are for older readers but the older sister will lap them up and *perhaps* read them too her! 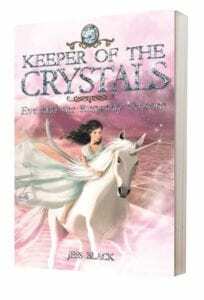 Click on covers to read about each one and purchase. 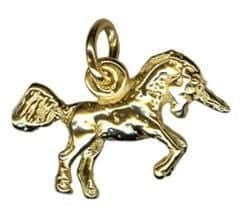 Unicorn Charm for necklace or charm bracelet. Image via Oh My Giddy Aunt. Click on image for details. Unicorn Lip Gloss. 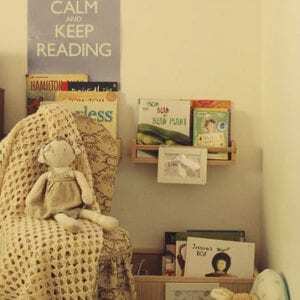 Image via Lime Tree Kids. Click on image for details. 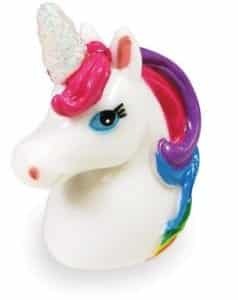 Unicorn Tape Dispenser. Image via Lime Tree Kids. Click on image for details. Unicorn Nail Decals. Image via Lime Tree Kids. Click on image for details. Unicorn Plush. Image via Lime Tree Kids. Click on image for details. Unicorn Brush/Mirror Compact. Image via Lime Tree Kids. Click on image for details. 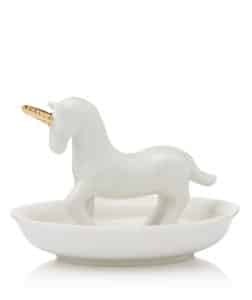 Unicorn Dish. Image via Sportsgirl. Click on image for details. 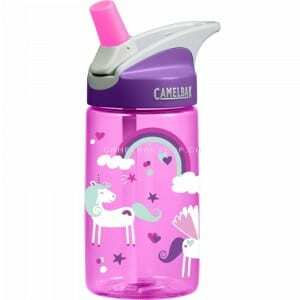 Unicorn Water Bottle. Image via Biome. Click on image to see details. 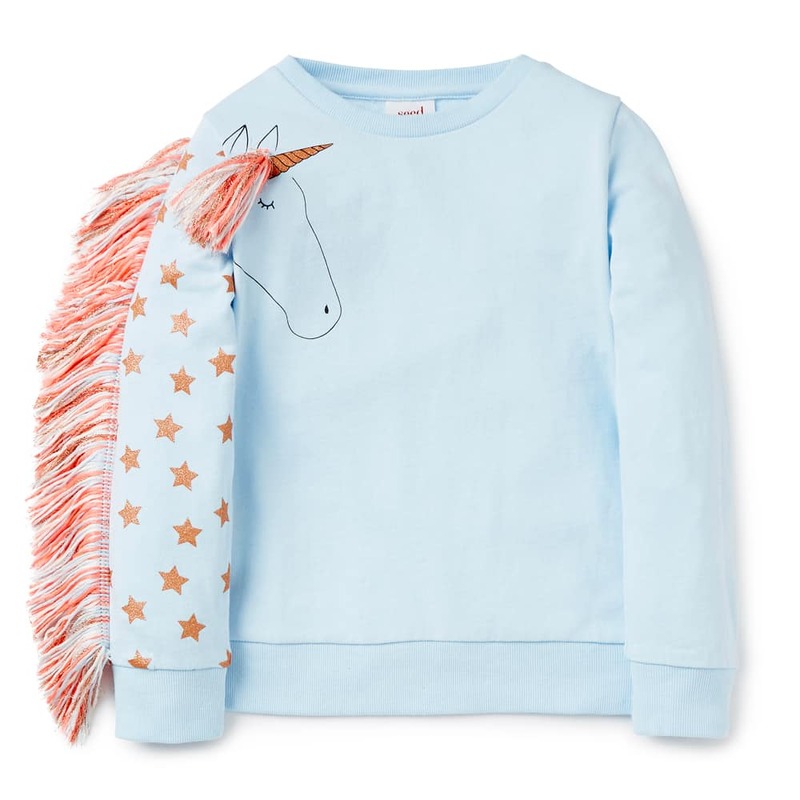 Unicorn Jumper. Image via Seed. Click on image for details. Photo by Rachel. Scary eyes on Pud thanks to SNOW app!!! I tried for a Ruby Red Shoes party last year – SO MUCH FUN!!! How cute is that tape dispenser?! I am a shocker with online shopping ‘add to cart’.